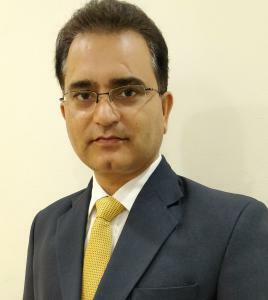 NOIDA, INDIA, July 11, 2018 /EINPresswire.com/ -- T/CCI Manufacturing, a world leader in compressor technology including reciprocating, swash plate, wobble plate, and variable compressor designs, announces Deepak Upreti the new Director of Sales and Marketing for India. Upreti brings more than 25 years of experience in the A/C and thermal products market, developing strategy, managing operations and cultivating key vendor relationships in India. As the demand in the Indian market continues to grow, Deepak will manage all A/C market segments and customer relationships for the bus, construction, and transport refrigeration segments. Global demand for HVAC systems has been on the rise over the past several years as domestic and emerging markets have focused more and more on increasing operator comfort. In addition, government mandates in India now require certain vehicle categories to be fitted with an air-conditioning system for the cabin, sighting driver health and safety, ultimately resulting into better productivity & improved health conditions in the complete chain of mobility. In the construction segment specifically, India is expected to grow by more than 25 percent in the next five years and is forecast to emerge as one of the fastest growing markets in transport refrigeration, with a worldwide growth projected to reach 10.2 billion USD by 2022. In the heavy-duty trucking market, India is positioned to supersede the United States as the world’s second-largest truck market and bus market trend data shows the Asia/Pacific region is projected to account for more than 3/5 of all new global bus demand through 2018. Growth is expected to pick up in both China and India (region’s two largest bus markets). T/CCI is a world leader in compressor technology including reciprocating, swash plate, wobble plate, variable compressor and air brake compressor designs. We are an Original Equipment Manufacturer for trucking, off-highway, agriculture/construction, specialty vehicle and transport refrigeration markets. T/CCI is dedicated to a leadership role in the industry—investing resources through our engineering, testing and R & D labs including next-generation refrigerants that reduce emissions. Our global footprint spans manufacturing locations in China, Argentina and the United States with warehousing, sales and engineering in Illinois, Texas, China, Argentina, Ireland, Germany and Spain. We are committed to providing customers with superior products at significantly better prices. We achieve this through our application expertise, global logistics, design thinking and product innovation. T/CCI is recognized and awarded Bronze SQEP certifications by Caterpillar at both Ningbo, China and Decatur, IL manufacturing facilities.